Results indicate that the drug Avastin has similar effects to Lucentis in treating the commonest cause of blindness in the developed world. Findings reveal that the study could lead to huge savings for the NHS. 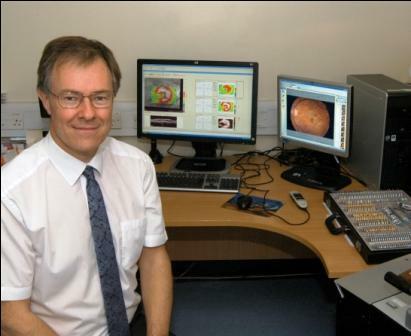 Scientists and eye specialists from 23 hospitals and universities in the UK have worked for four years to investigate whether Lucentis and Avastin, two drug treatments widely used for neovascular or “wet” age-related macular degeneration (wet AMD), are equally effective. The study, called IVAN (Alternative Treatments to Inhibit Vascular Endothelial Growth Factor in Age-related Choroidal Neovascularisation), also investigated whether treatment-as-needed is as effective as monthly treatment. More than 610 people with wet AMD entered the IVAN clinical trial and received either Lucentis or Avastin without clinicians or patients knowing which drug they were receiving. The effects of Lucentis and Avastin on preventing loss of vision were similar but the cost of using Avastin was very much less. Giving the drugs as needed compared to regularly every month resulted in almost identical levels of vision. The “as needed” group received on average seven injections over the first year compared to 12 for the monthly treatment group. This could mean that switching from Lucentis to Avastin could save the NHS £84.5 million per year. The results published describe information for participants up to one year after the start of the IVAN study. The study will continue to follow up participants for two years and a more detailed analysis will be presented when this time point is reached. The results were reported at an international research meeting in Fort Lauderdale, Florida and will also appear in the journal Ophthalmology. The IVAN study has been funded by the National Institute for Health Research (NIHR), the main NHS research funding agency in England and Wales.